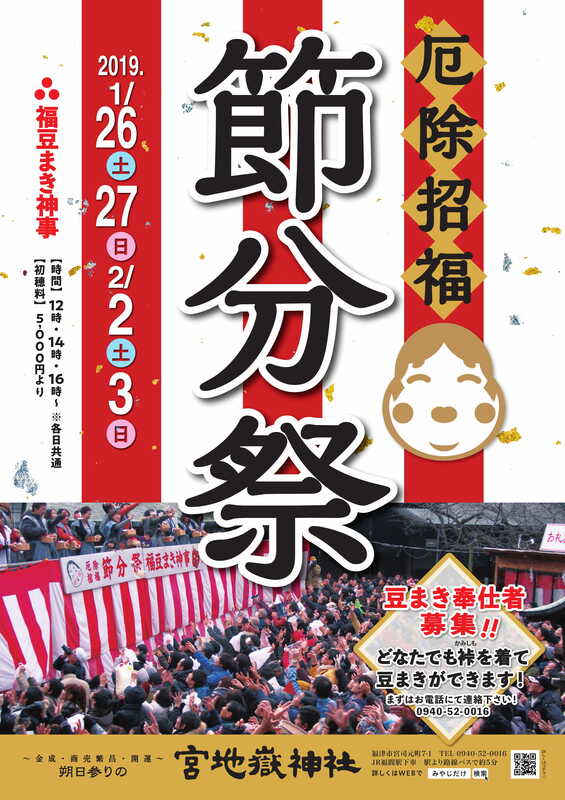 On January 26 (Saturday), January 27 (Sunday), February 2 (Saturday), and February 3 (Sunday), the ritual of scattering beans will be held from 12:00, 14:00, and 16:00 on each day. The ritual servers will wear “kamishimo” and shout out “fortune in, devil out” while scattering the lucky beans. The servers can be those who are in their “unlucky years (yakudoshi)” and anyone else who is interested. The beans also include “fortune lottery” to win various prizes, which is always crowded with lots of people wishing to receive lots of good fortune.